Visit Our New VIP Dining Room! Open nightly from 5 p.m. Celebrating 30 years serving award-winning prime beef, chops, veal, lamb, pasta and seafood dishes. 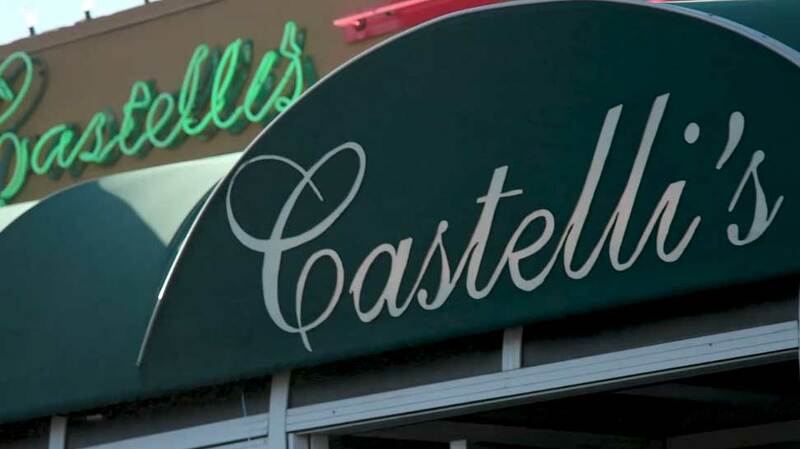 Castelli's has perfected an already outstanding level of service, delicious food and fine wines. 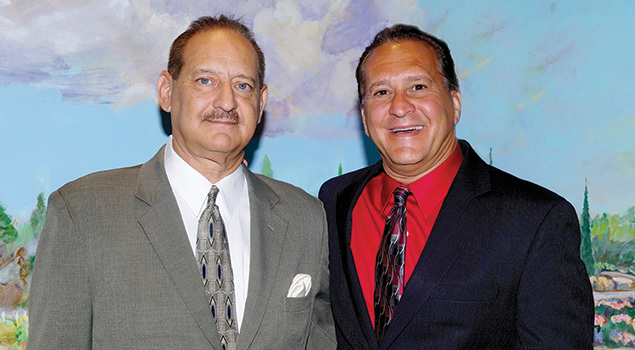 Michael and John Castelli offer you a warm greeting before seating you in the intimate enclosed patio, in the well-known “Celebrity Room” where the walls are lined with photos of celebrities, or in one of their elegant private dining rooms. These intimate spaces offer the perfect setting for receptions, private parties, meetings, and banquets. 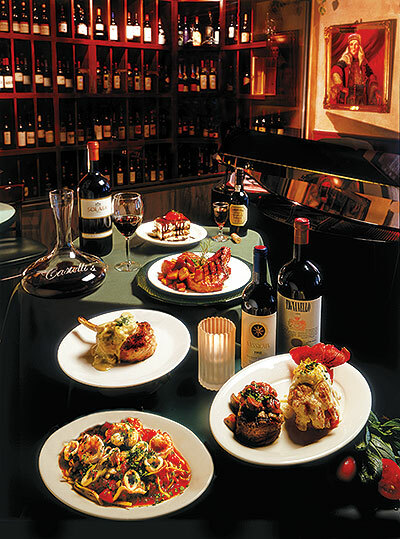 Try the specialty of the house, Fettuccine Alfredo, as an appetizer or have it on the side with their scrumptious Osso Bucco, the Filetto Marsala, a nine-ounce petite filet mignon, charbroiled and topped with a sauce of Marsala wine and portabello mushrooms, or their 18-ounce Veal Chop — heaven on a plate! Live piano/vocals with Patrick Tuzzolino Nightly 5:30 p.m. Shown: Clockwise from the bottom — Linguine di Mare, imported pasta with tender baby calamari, shrimp, baby lobster, scallops, fennel, and diced green onions in marinara sauce; Lombatina di Vitella alla Mostarda, a fresh 18-ounce rib-eye veal chop, charbroiled to perfection, served in a sauce of Dijon mustard, white wine, and fresh mushrooms; Castelli's Signature Pork Chops, two juicy chops with baked apples; Tiramisú, fresh mascarpone cream cheese, imported lady fingers dipped in coffee liqueur and topped with Ghirardelli chocolate — a house specialty; and Bistecca Aragosta, a nine-ounce prime filet mignon, charbroiled your way, served with an eight-ounce lobster tail in a light lemon and butter sauce. The suggested imported wines are: Sassicaia, Tignanello, Ornellaia.